Storing and Transporting Extra Water For Boondocking. When we are using our Fifth Wheel for boondocking or dry camping there is often no water available close to our boondocking spot. This requires a trip in the truck to a place that provides water and the ability to transport a large quantity of water without to much hassle. A simple space saving solution is to use a water bladder that has the ability to hold a large quantity of water while not taking up space when it is not in use. 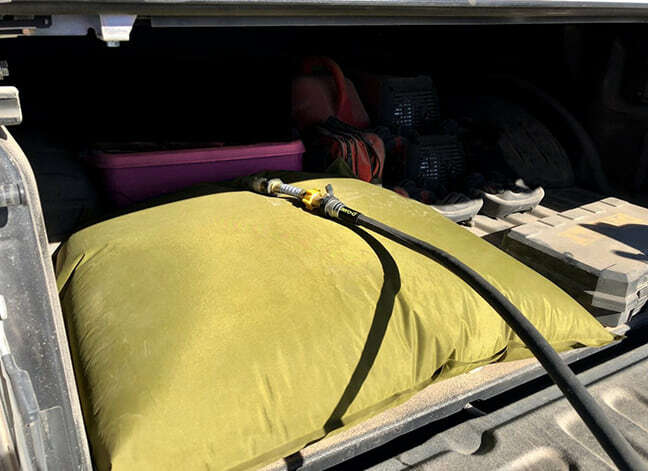 The Aquatank water bladder provides a convenient solution to transporting and storing large quantites of water in the bed of the truck. Filling the water bladder is easy and once you get back to the Fifth Wheel you can use a portable water pump to pump the water into the Fifth Wheel holding tank directly from the truck bed. These water bladders can hold between 20 gallons and 60 gallons of water. Using plastic containers to transport water is both cumbersome and requires a large amount of storage space when they are not in use, whereas the water bladder can fold up and takes up almost no space when not in use. 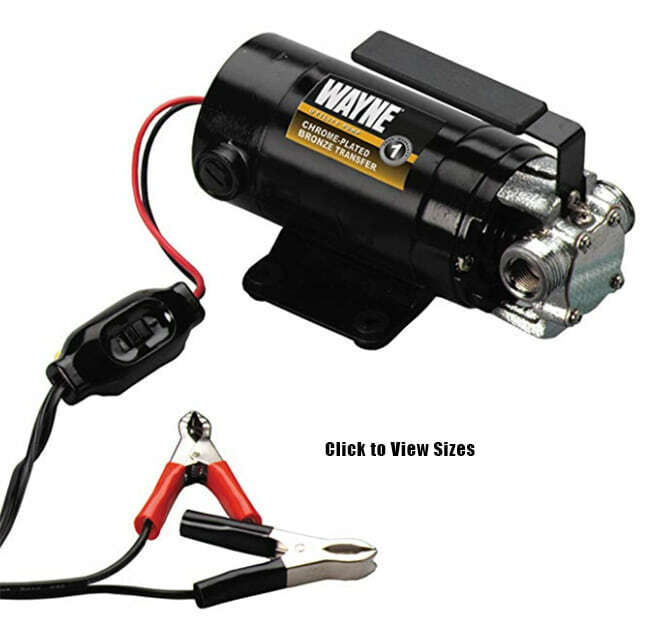 The Wayne portable water pump provides an easy solution to pumping the water out of the bladder. It is already wired with a switch and simply clamps onto a 12v battery to provide power to the pump. There is no need to mess with wiring the pump into the truck. When the pump is needed, the pump can use the truck battery, a battery in the bed of the truck or one of the Fifth Wheel batteries. When the pump is not needed it can be stored in the bed of the truck or in a truck box. 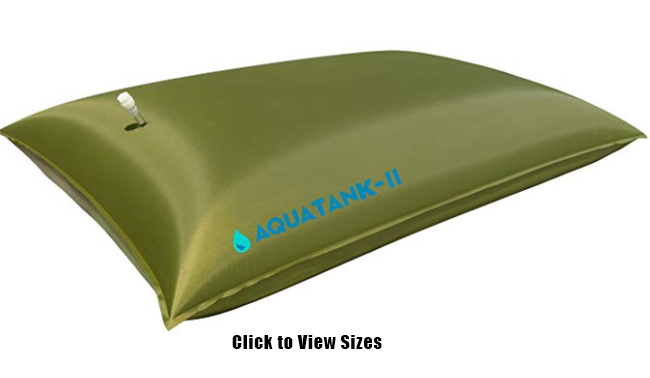 Aquatank water bladders are extremely strong and durable. When carrying large amounts of water you want to ensure that the water bladder is strong enough to withstand a bumpy journey back to to your campsite. It is also possible to fill your Fifth Wheel holding tank with water and the water bladder before departure and then have a backup supply of water should you be boondocking far away from any water source. Traveling with the full water bladder should not be a problem as long as you take into account the extra weight in the bed of the truck.